Nuance is an award winning bathroom wall panel system, created for showers, wetrooms and around the bath. The designs are not just beautiful to look at but uncompromisingly high performance and easy maintenance too, as it’s uniquely fitted without extrusions and 100% waterproof guaranteed. It’s what bathrooms have been waiting for! 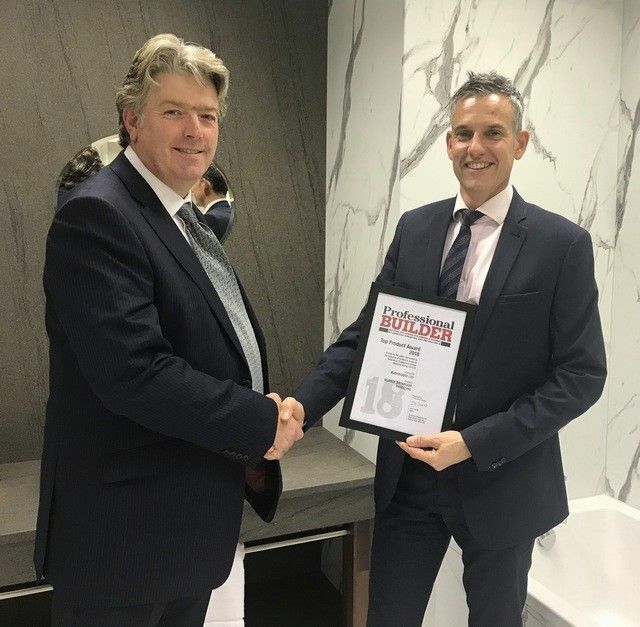 Nuance bathroom surfaces win another award! Nuance bathroom wall panels have been recognised again. This time winning a 'Top Product of the Year' Award from Professional Builder magazine. *Image shows Neil Horton, Sales Director, Engineered Panel Systems Western Europe receiving a certificate from Marcus Hooper, Regional Advertisement Manager, Professional Builder Magazine. To find out more about our award winning Nuance range of 100% waterproof bathroom panels, please visit our website.